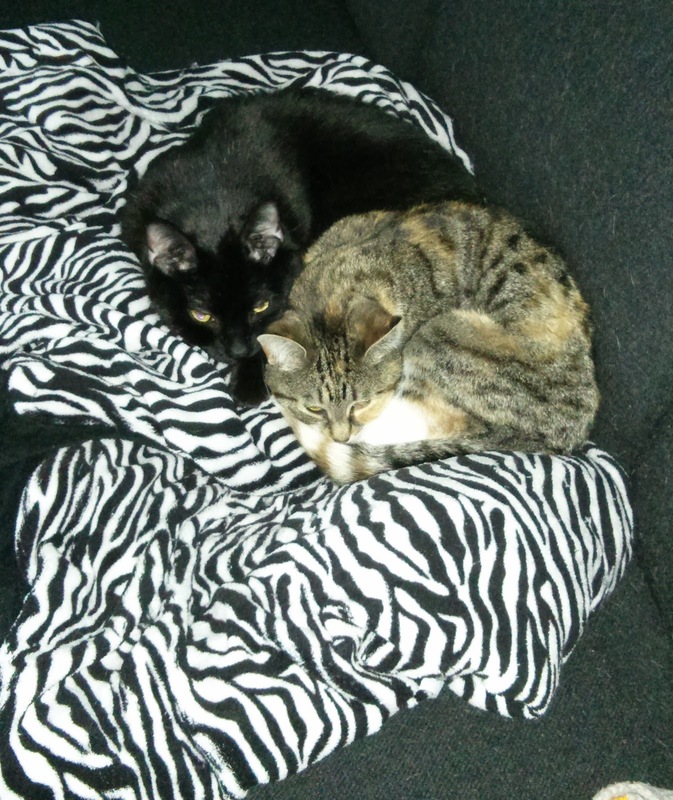 Finding one single cat to love is hard (because you want to love them all), finding two cats to love can be harder, HOWEVER if you want to get two, consider a "bonded pair". No, I'm not talking about Siamese twin cats! Bonded cats are cats that have attached themselves to other cats, kind of like people picking a soul mate. 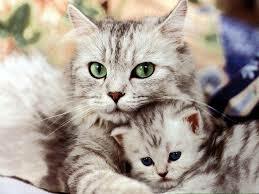 Kittens form bonds with their mother very young, and then as they grow older and they form bonds with other cats. There are emotional bonds between litter mates but there are bonds between cats that have taken care of each other as strays or ones that come from the same shelter with the same experiences. When we went looking to get a cat, we weren't sure exactly what we were looking for except we knew we didn't want kittens. Two adult cats picked us! We ended up getting Vicktor and Ginger from the same place at the same time, so they smelled the same. The adjustment was easy even though they weren't necessarily a "bonded" pair. I can assure you now, I don't know what they would do without each other! Ginger was having some eye problems last year and she had to stay over night at the vet, when she came back you could tell that Vicktor was happy she was home. He kept following her around, sitting on her, and grooming her. Vicktor snuggling with Ginger and Ginger not having it. Vicktor giving me the stink eye for taking of photo of them. 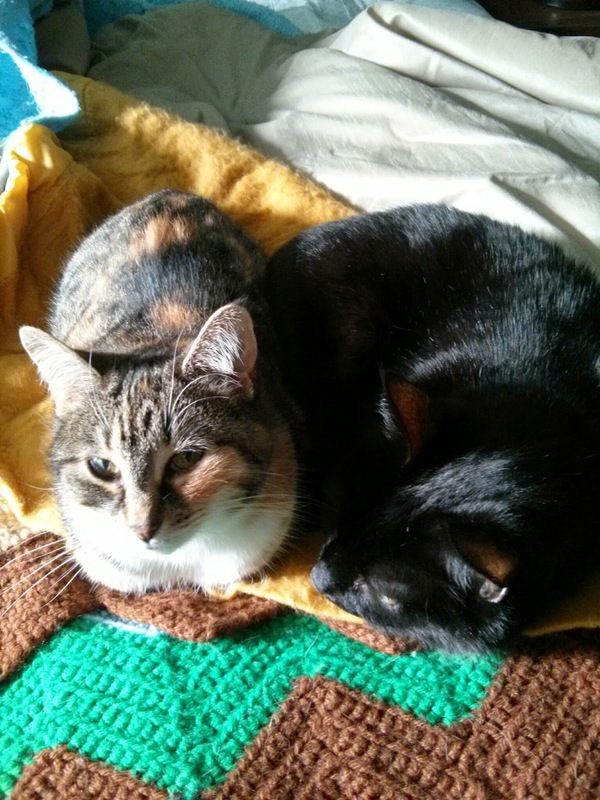 Without each other, bonded cats are stressed and can revert back to being anti-social. Just like people, they can get separation anexity, depressed, and sick ~ yes, sick! ~ grieving for their buddy. But with each other, they have companionship and comfort. Sadly shelters are tasked with trying to find homes for bonded pairs, and so many people don't want two cats. 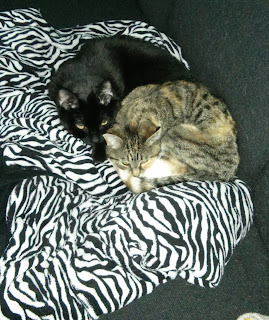 Next time I go looking for cats, I plan to seek out two bonded cats. Bonded cats means no iffy introduction period! So what are you waiting for? Bring TWICE the love into your home! 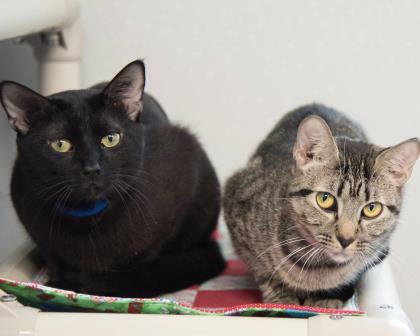 Here's a bonded pair up for adoption at the SPCA Serving Erie County right meow!